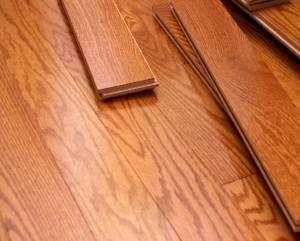 Durability is one important aspect to consider when choosing your floor. If the room in question is one that may well be subjected to high levels of footfall, spillages, scratches and perhaps exposure to bright light, it is well worth choosing a flooring material that can withstand these effects. In this instance, a wooden may be better suited as it provides a practical solution for the busy household. 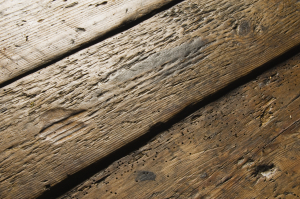 Laminate floors are less durable in this respect as they show wear and tear more over time, and can look extremely scruffy over time where wood does not show its age in the same manner. In terms of price, it is no secret that laminate flooring is extremely cheap; one of the material’s chief selling points. It is with this consideration that many may opt for this solution over wood which – particularly for special, more rare types – can become fairly costly. Prices vary, of course, with cheaper woods, such as raw wood costing far less than tropical hardwoods and treated materials. As mentioned previously, wood tends to stand the test of time far better than laminate, something posing in its favour. As with all materials, though, even wood is likely to be kept in better condition the more carefully it is treated, which for this material includes the use of appropriate wood-treating products such as wood dye, sanding procedures and overall upkeep. In the case of laminate, though it may show wear and tear more easily, it is also easier to upkeep both in the short and long term, simply requiring standard cleaning procedures with damp mops and cloths as well as simple cleaning products to keep it looks at its best. Here at Hitchcock and King, we are proud to provide a variety of high quality wooden and laminate flooring to customers throughout London as well as the products and services required to keep your floor looking its best at all times. Whatever the scale of your project, or your property’s style and period, we will have the relevant solution for you at a great price – so for more information, do not hesitate to get in touch with our friendly team today.